Thin Ice at Farm Island is something you should read. The ice broke when the Civilian Conservation Corps was working at Camp Farm Island. 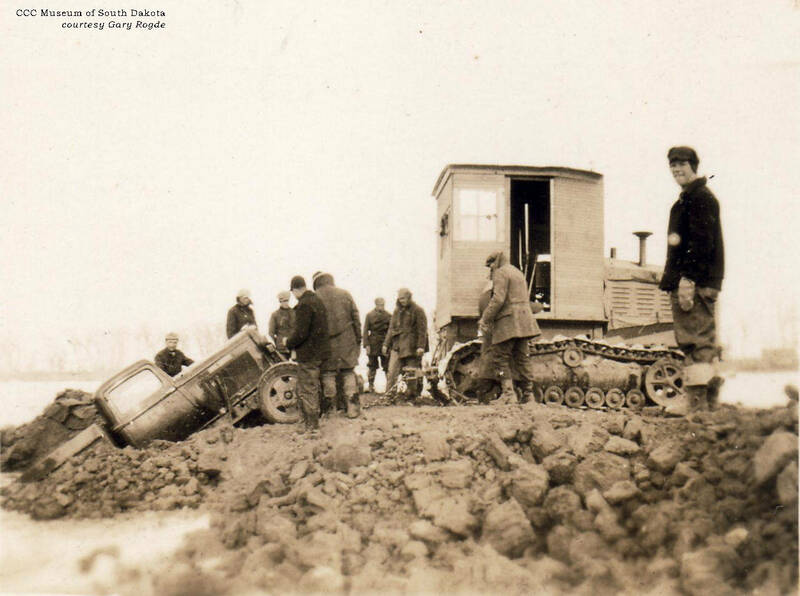 The photo shows a "Cat" being used to pull the truck out and up the bank of the Missouri River east of Pierre, SD. Pulling truck out when the ice broke.